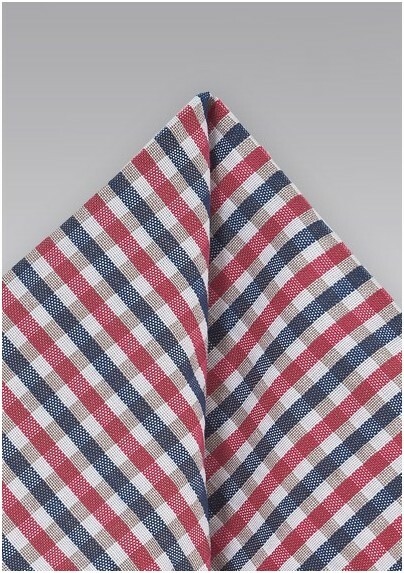 Revamp your sense of Summertime style with this creatively hued and handsomely patterned Gingham Pocket Square in sharp shades of Blues, Pinks and Whites. 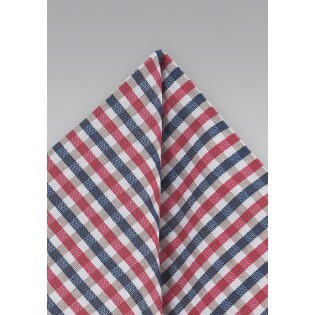 This modern designed pocket square has an All-American aesthetic that looks phenomenal with a variety of classic menswear. Crafted from a blend of silks and cottons, this pocket square embodies true luxury and craftsmanship. This is a Limited Edition Design from the Blackbird Design Division.